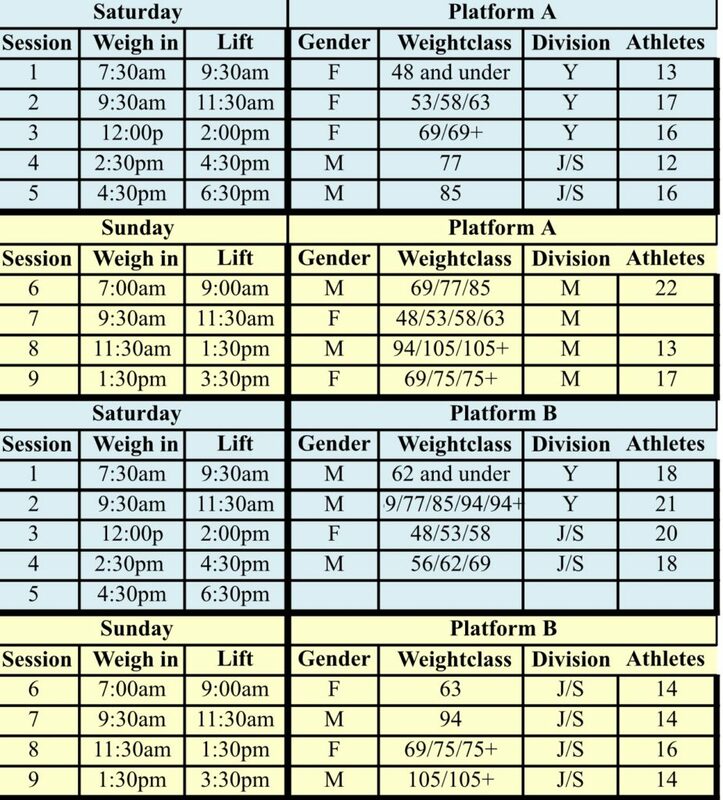 We look forward to serving the Florida Weightlifting community at our yearly State Championships, but we can’t do it without you! The FWF is looking for volunteers for this event: Loaders, Referees, Administrative (Athlete Check In, Weigh-Ins, Etc). Please view the volunteer schedule below and let us know by email if you would be willing and able to help us make the State Championships AMAZING!